Following its official announcement at September 13's Nintendo Direct, all we knew about the released date for Katamari Reroll is that it is in "Winter 2018." That left us knowing it would be coming this December, but even still the date was vague. Don't worry, though: Bandai Namco has announced that Katamari Reroll will be released digitally for PC and Nintendo Switch on December 7, 2018. It features remastered graphics and cut scenes, and Switch-exclusive motion control. Using the Switch's Joy-Cons, two players can play simultaneously with one each. Katamari Reroll is a remaster of Katamari Damacy. The King of All Cosmos had a wild night, and knocked all the stars from the sky. Since he's the king and doesn't have to do hard labour, it's up to his son (the Prince) to collect them by rolling an adhesive sphere over objects. You'll start small, with items such as paper clips, and eventually grow large enough to roll up entire cities, mountains, and continents. You only have mere months to decide whether you'll play Persona 3: Dancing in Moonlight first, or if Persona 5: Dancing in Starlight is what you're most excited for. Both games will be released on December 4, 2018. Pre-ordering the Day One editions will give you exclusive access to fan-favourite characters and music. Persona 3: Dancing will bring Shinjiro Aragaki to the party, along with the final boss theme (Battle Hymn of the Soul). Persona 5: Dancing's exclusive Day One character is Goro Akechi, and the theme of Persona 5 (Will Power). Of course, Day One Editions of the Endless Night Collection (including both games) for the PlayStation 4 includes both characters and theme music... and you can use either character and either track in either game! If you're planning on picking up the titles for PS Vita, you'll know there is no pre-order available and the bundles are digital exclusives - but you're not out of luck. As long as you purchase the game within two weeks of its launch (so between December 4 and December 18), you'll receive the bonuses as well. More DLC has been released for Peach Beach Splash! Tamsoft continues to titillate us with a consistent stream of DLC for Senran Kagura: Peach Beach Splash. Today, the news is that new costume DLC is available for both PC and PlayStation 4. 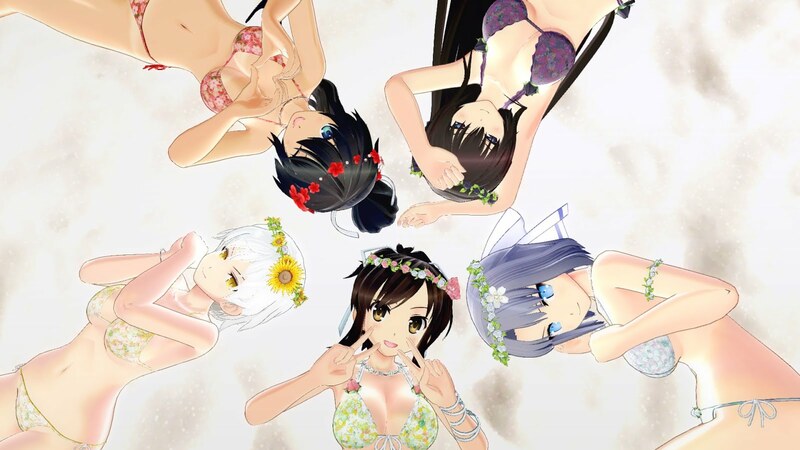 Titled the Sunshine Swimsuit Set, this add-on includes five sunshine-themed swimsuits for five of the leading ladies (Asuka, Homura, Yumi, Miyabi, and Kagura). PC players can update their game for free now, which adds VR support for HTC Vive and Oculus Rift. The core concept of Iris.Fall is light and shadow, and the monochromic artwork instantly reflects that theme. Iris wakes from a dream and follows a black cat into a theatre, entering a strange maze of - you guessed it - light and shadow. But as she explores the theatre, Iris realises that everything there connects directly to herself. Developed by NEXT studio (Death Coming) and published by Zodiac Interactive, Iris.Fall will be coming to PC via Steam this November.